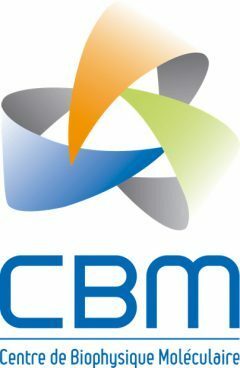 The research activities of the NMR group focus on the determination of the 3D solution structures of biomolecules from NMR data. 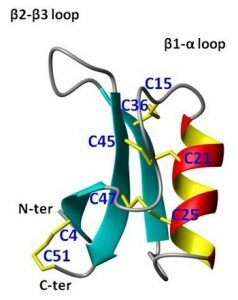 While a wide range of biological questions are addressed, the constant objective in all these studies is to establish relationships between the biomolecules NMR 3D structures and their biological functions. Most of the time structural studies involve studying the interactions with other biological molecules (DNA-protein, protein-peptide or protein-ligand complexes), and the dynamics in the free or bound form. Up to now, NMR has been the main technique used to develop our research projects, combined with molecular modelling and docking techniques. Our biological research theme concentrates on small cystein-rich defense proteins. The aim is to advance our understanding of the mechanism of action at the atomic level. It will lead us to study complex systems by liquid NMR and to closely associate a series of complementary biophysical or biological techniques. 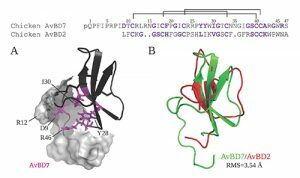 Two families of small cystein-rich defense proteins are studied: Antimicrobial proteins and entomotoxins, adopting different 3D folds and different disulfide bridges arrays. Many of these molecules are now obtained by chemical synthesis in close collaboration with A. Delmas’ group. In order to respond to the variety of questions addressed by our biologist collaborators, we carry on a series of more methodological NMR projects. The defense proteins projects and these methodological expertises are mutually supportive, and are inseparable. Ex1 : The folding dynamics of the dimeric protein HU involved in the cold response. Ex2 : MC1 is a small architectural protein from Methanosarcina which curves and compacts the DNA of these Archaea. A very recent development of our research concerns the metabolomic approach of various pathologies (phenylketonuria, Huntington's disease, glioma). We seek to identify characteristic metabolites to better understand their pathways of biosynthesis and degradation and possibly develop new therapeutic strategies.